Barbra Streisand is angry, and she wants you to know it. Walls (★★★) is her first album of original work since 2005. It is, for the most part, classic Streisand, heavy on ballads with mostly minimal orchestration to get in the way of those unmistakable vocals, but this time with an edge that reflects the frustration that she and many others have felt since November 2016. WHEN ELVIS COSTELLO SWORE OFF recording in 2010, he sounded so convincing that it was hard to imagine him ever returning. Since then, however, he has come out with two albums, the latest of which marks yet another evolution in his style. The songs on Look Now (★★★★) have a feeling about them that is part no-nonsense piano pop, part sultry jazz bar, a musical theme that lends itself well to the narrative style of his lyrics. Look Now revisits many aspects of Costello’s career, but calling it a return to form would be misleading. Coming from someone who has worn so many hats and whose work has drawn on so many different influences, one would have to ask, which form is he returning to, exactly? Costello himself has mentioned wanting to recapture some of the feeling of 1982’s Imperial Bedroom and 1998’s Painted from Memory. The musical and thematic resemblances to those two albums are instantly recognizable, probably owing a lot to Burt Bacharach’s co-writing credit on “Don’t Look Now,” “Photographs Can Lie,” and “He’s Given Me Things.” The album is also notable for reuniting Costello with his backing band, The Imposters, as well as featuring “Burnt Sugar is so Bitter,” a collaboration with Carole King 20 years in the making. As its title suggests, Look Now insists it is grounded in the present. While the album does have a sense of immediacy about it, Costello cannot help hearkening back to his past career. If one had to nail down which form he is returning to here, it would be Costello the storyteller. He fills this album with small yet arresting flourishes, like the woman in “Stripping Paper” who tears down a sheet of wallpaper to find where she and her cheating husband marked their daughter’s height in happier times. Always a gifted lyricist, he is at his strongest form yet on Look Now, telling the stories of living, breathing characters with sympathy and nuance. Elvis Costello returns, after 8 years, with an album of unpublished works. SANDRO VERONESI —It has been eight years since «National Ransom» came out. If I am not mistaken, that was the last album you released. The world has changed a lot since then. Have you changed too? ELVIS COSTELLO — In 2010, I started to think the stage was where my songs should live. Steven Mandel and Questlove had other ideas and the result was «Wise Up Ghost». A couple of year later T Bone Burnett called to see if I wanted to be part of a group setting and recording a file of unpublished Bob Dylan lyrics. Such invitations have a way of changing your mind. SANDRO VERONESI —The record is absolutely spot-on, with some of its tracks going straight to my «The very Best of Elvis Costello» playlist, but we will talk more about that later. What was your inspiration for the record? ELVIS COSTELLO — Partly, the realisation that «now» was the time for a record of which I had been dreaming on for twenty years or more. «Now» was also the time illustrate all that The Imposters could bring to the studio and this group of songs. SANDRO VERONESI —The title of the record is «Look now,» but it does not have a title track. There is, however, a song called «Don’t look now.» What is it that we should or should not look at now? ELVIS COSTELLO — The album title is a call to attention as in, «Here we are, now» but it also refers to a collection of glances coming to and from the people in these songs. There are looks of admiration, estimation, calculation, desire, judgment, and event ill-intent. It is for the listener to decide what they see, what they hear, and all they feel about it. SANDRO VERONESI — From The Attractions to The Imposters; do you come up with the names of your bands? ELVIS COSTELLO — I like a name that looks as if it belongs on a vaudeville poster. SANDRO VERONESI — Let’s go back to the early days. What sort of kid were you in the 1970s back in London and Liverpool? Does the «tragic waste of brutal youth» from «Favourite hour» represent those times? ELVIS COSTELLO — I am my parents only child, so I had a lot of time alone with my thoughts. A record player became a good companion. The line from «Brutal Youth» was not describing my own younger years. SANDRO VERONESI — Your father was a musician and your mother sold records - the 45s, the entertainment. How was your background influenced by the music scene of that time period? ELVIS COSTELLO — There was a period during which my father was in the front room singing very loudly along with records from the hit parade, in order to learn the tunes so he could perform on them on the radio or in the dancehall. These were the very same songs that my friend’s parents were telling them to turn down through the bedroom door. That changes your outlook about to whom music belongs. SANDRO VERONESI — One of the most intriguing definitions I have ever come across describes punk music as «non-elaboration» or the nullification of the gap between the initial idea and the final result. Elements of your early music have been associated with punk, though your music has always been very elaborate. Is this comparison misleading, or is there some truth to it? ELVIS COSTELLO — Such labels were often instead of real thought or feeling, coined by people who were afraid of looking as if they did not understand new ideas. Hardly anyone of real interest or value invited or embraced these labels. They weren’t standing that far back from the moment. I felt that way myself. There wasn’t time to think of these definitions. There was work to do. SANDRO VERONESI — What is innocence to you? SANDRO VERONESI — Many years ago (more than 25, actually) I read an interview in which you stated that the song you liked best among the ones you have released was «Watching the detectives.» What about now? Is it still your favorite? ELVIS COSTELLO — I think «Watching The Detectives» was the first record I made. The recordings before that were a snapshot four or five people playing in a room. «Detectives» was the first time that the studio became the extra dimension to the ensemble. This has happened countless times since, whether Nick Lowe, Geoff Emerick, Clive Langer, T Bone Burnett, Steven Mandel or Sebastian Krys was sitting at the controls. SANDRO VERONESI — I have made four playlists of your music: The Best of Elvis Costello (140 songs), the Very Best of Elvis Costello (40 songs), The Ultimate Best of Elvis Costello (20 songs), and, finally, The Paramount Best of Elvis Costello that has only five songs. Assuming I am a typical fan of yours, do you think you could you guess at least three of those five paramount best? It is not hard. ELVIS COSTELLO — I suppose I could but why would I do that? I like to surprise with a song from the shadows. SANDRO VERONESI — Throughout your career, you have spanned across genres possibly more than anyone else: Punk, Rock & Roll, Reggae, Classical, Country, Blues, Jazz. Have you ever felt like you belonged to one genre in particular, or is your identity really «scattered» all over? ELVIS COSTELLO — I never felt as if the definitions in your list of styles were boxes I was ticking or a box to sit in with the lid closing. Everything I’ve done has been led by curiosity and feeling. There never was been a plan or ambition. One thing led to another. It was close to an education and better than going to college. SANDRO VERONESI — Politics - you certainly never shied away from them. In fact, many of your songs are political in a direct and literal sense. What impact did this have? Were there ever any consequences? ELVIS COSTELLO — My songs are not manifestos or slogan but sometimes present a dilemma – as with «Shipbuilding» – or catalogue babble, mixed signals and the confusion of events – as in songs such as «Bedlam» or «One Bell Ringing.» There are and have been countries in which dissenting expression is a dangerous occupation but really what is the worst that can happen me? They can remove my song from a playlist or not buy a concert ticket. Will the world stop turning? Or I could be patronized by a political commentator, the mouthpiece of an elected opportunists. They are the ones with the trite slogan and bland or provocative simplifications. The songwriters are the ones covering the angles. Sometimes people will heckle or boo or walk out. That is such a frightened response to what is just another way of thinking. Are the colours of their flag not fast? Are their convictions so feeble that they could be undone by someone singing a song? SANDRO VERONESI — Now that your prayer to outlive Margaret Thatcher has been satisfied, have you ever «tramped the dirt down» on her grave - even just symbolically? ELVIS COSTELLO — That song was more about poison than a particular individual. You make yourself a brand or an ideology and you renounce a little of your humanity. SANDRO VERONESI — Is there a word or a sentence that immediately comes to your mind when defining the current political situation of the Western world? ELVIS COSTELLO — «Entitled» seems to catch the selfishness that has been tricked out of us. We are nowhere close to carnage or desolation of the mid-20th Century but those generations were more stoic about their deprivations. The catastrophes of those decades were also the product of blame-placing but the amplifiers were smaller and the warning signs were not correctly decoded. Now we have Silicon Valley to help us, an unholy alliance of Madison Avenue deception and Wall Street greed with a thin veneer of social conscious, masquerading as evolutionary progress. SANDRO VERONESI — “Cruel” is maybe the most ubiquitous adjective in your songs. Why? SANDRO VERONESI — «Almost blue» has become a true jazz standard. I tried to count the number of covers that have been made, but it is impossible. What strikes me, however, is that the vast majority have been made by women. Does that surprise you? ELVIS COSTELLO — I cannot pretend to have heard them all but I love the prelude that my wife, Diana conceived as an introduction to the song and the surprise that she sprang in singing it to me at the Royal Albert Hall when we were first acquainted. Chet Baker’s live rendition in Tokyo is the realization of a dream. SANDRO VERONESI — Your vibrato - your voice always sounds a little broken but it reaches everywhere. Is this a natural gift or have you worked on it? ELVIS COSTELLO — The tempo and phrasing of my earliest songs disguised the presence of a natural vibrato – which I suspect it might be an affliction from a childhood illness or trigger by a tiny, harmless defect of the heart. Many of favourite singers had pronounced vibrato; Billy Eckstine, Johnny Hartman, Darlene Love and Dusty Springfield but once Chrissie Hynde brought that manner of singing back to fore, I loved her voice so much, so I no longer hid it but learned into the longer notes. Sometimes it is there, sometimes it is controlled. Weariness and musical register effects its appearance. SANDRO VERONESI — Billy Wilder famously kept a picture of Ernst Lubitsch on the wall behind his desk on which he wrote «What would Lubitsch have done?» You have worked and played with so many of the most important artists. On whose picture would you write that sentence? ELVIS COSTELLO — I would have an empty frame and place a different picture in there every day: Cliff Edwards, Levi Stubbs, Rick Danko, Joni Mitchell, James Carr, Brian Wilson, Teddy Wilson, Dan Penn, Coleman Hawkins, Richard Rodgers, Lorenz Hart, Franz Schubert, Frank Sinatra, Joe Strummer, John Lennon, Mavis Staples, Curtis Mayfield, Miles Davis, Harpo Marx, Hank Williams, Hank Cochran, Hank Jones, Johnny Mercer, Willie Mabon, Aretha Franklin and the portrait of many, many friends and colleagues with whom I’ve shared a song and these many hours. SANDRO VERONESI — Literature took quite a lot from your songs and verses. Did you take just as much from literature? If so, who from? ELVIS COSTELLO — I don’t read books in the way people may imagine. I read mostly history, poetry and nonsense verse. I was recently asked to name a book that I wish that I had read and I gave the address of The British Library. I am not being entirely facetious. SANDRO VERONESI — When «My Three Sons» came out, I happened to be taking care of my own three sons and the song became a model for me – that and Donald Duck. Since then, my sons have grown, and I have had two more kids - one is a girl. Now, I am not alone like I was before. Basically, everything got more complicated. Have you got another song to take inspiration from? ELVIS COSTELLO — There is one song that my mother does not like because she took it as being morbid. It is called, «I Want to Vanish.» Actually, I think it is a beautiful thought. Because in the end, we do. The characters in Elvis Costello's sumptuous new album with The Imposters are each unhappy in their own way. A woman who laments her deteriorated marriage while doing some renovations around the house ("Stripping Paper"); a dilapidated music-hall singer whose return to showbiz may be brief ("Under Lime"); a daughter pondering her dad's infidelity ("Photographs Can Lie"); someone grieving the end of the British empire ("I Let the Sun Go Down") and so on. What make it easy to be sympathetic with even the most pitiable of those in these very human songs are Costello's elegant melodies and arrangements, which result in a kind of silkier, even more debonair version of Imperial Bedroom, his 1982 album produced by recently departed Beatles recording engineer Geoff Emerick. Costello's guitars are mostly in a supporting role. Horns, woodwinds and strings -- as well as some of the liveliest backing vocals on a Costello album since Afrodiziak lit up Punch the Clock -- plus the deft hands of The Imposters and Argentine-born co-producer Sebastian Krys, turn Look Now into one of Costello's most sonically gratifying records. Burt Bacharach composed some of the music and Costello also dusted off "Burnt Sugar Is So Bitter," another tale of domestic gloom, written years ago with Carole King. There are others, including "Why Won't Heaven Help Me" and "Stripping Paper," which show how deeply those 1960s sounds, from pop to soul, influenced Costello and how expertly he applies them in his own superlative songwriting, of which Look Now has plenty. Hot tracks: "Stripping Paper," "Photographs Can Lie," "Burnt Sugar Is So Bitter," "Why Won't Heaven Help Me"
When Elvis Costello announced in July that he was canceling the last few dates of a European tour due to lingering effects from an earlier surgery, it put a fright into fans, about whether he’d be able to tour again in the near or even long term. They’d already been through a previous scare, albeit one that had nothing to do with his health, when the singer-songwriter had spent a good part of this decade suggesting that he might be finished making new albums altogether. Neither of those dreads has come to pass: In October, Costello released his first batch of new material in five years, “Look Now” — and it’s by far his best-reviewed collection since “Painted From Memory,” his collaboration with Burt Bacharach, 20 years ago. Meanwhile, he and his band the Imposters set out on a 20-date North American tour this weekend, and the 25-song set list from the opening night (including 10 songs from the new album) indicates the passing health crisis didn’t put any crimp in his epic performing style. Prior to the tour kickoff, Costello got on the phone with Variety to discuss his new label deal, the surprisingly different style of “Look Now,” ongoing collaborations with Bacharach, his appreciation for recently passed former producer Geoff Emerick, and why he favors George Gershwin over “square” rock music. COSTELLO: I was extremely fortunate to have this thing detected when it could be dealt with with a single surgery. And I would have kept it as a private matter. To be told that there’s something that could turn into cancer is obviously shocking to you — nobody would invite that — but it was all under control until I miscalculated what it took for me to do my work. I just didn’t allow for the fact that the operation would knock me out quite as much as it did, like it does everybody. And I suppose it was a good lesson in what it really takes to do my show well. When I got into the tour a little way and I was finding one night was great and the next night was out of my control, I didn’t like that feeling. I didn’t feel it was right for the audience or right for the band. I was putting too much on them to carry the shows where I wasn’t at my best. And once I made the decision, then I lost all the anxiety that was building up, and the last few shows were really great. It was almost like, “Well, I could actually do this, maybe!” But I know that if I’d pressed on, I would have paid a price for it. So it was a miscalculation which obliged me to make a public explanation. And then with the way it is in England, they got ahold of it and put it in the tabloid papers and made it sound as if I was at death’s school, which was really unfortunate, because it’s deeply disrespectful to friends of mine that were actually, really dealing with serious illness. You became aware you would require the surgery while you were still making the album, right? The only way in which it had any impact on this record was just the deep breath that I took before I sang the lead vocals, because it was just before that, as we were laying down the horn and string parts, that I found out. It maybe sharpened my wits up a bit, because I knew I might have a little time ahead where I wouldn’t be able to work, so I wanted to get it right the first time. That’s only got to be good. But I never was ill or ailing in any way. I never felt, “Oh, I feel sick.” It was really a great piece of fortune and expertise on the part of the technician who spotted this little thing and said, “Oh, that don’t look good. Let’s find out what that is. Ah, it’s this — it’s gotta get out.” So that’s reason enough to say to people: Make sure you keep up with your checks. It could get you out of a whole world of trouble. When we last spoke with you a year ago [when he was promoting his song for “Film Stars Don’t Die in Liverpool”], the subject of making a new record came up, but you still sounded dubious about that happening. We were actually due to start an album then, when we spoke, but I didn’t want to (talk about it prematurely). There was a company that wanted to make it, but their bosses didn’t seem to feel the same way about it, so we had to put the brakes on for a moment. We were all set to go and had the studio booked and even the debut performances booked (a canceled residency in Las Vegas in February and March), and that all had to be reworked. But nothing bad ever comes out of that, because it gave me the time to consider a few different songs, and I think the balance now is better than it would have been. In that time I wrote “Mr. and Mrs. Hush” and “Dishonor the Stars,” and I rewrote “Under Lime,” and they’re three of the best songs on the record. Eventually Concord stepped up, and we worked out how to do something of this scale and relative complexity in the minimum amount of time, in the kind of budget that anybody can afford these days. And how do you accomplish that kind of quicker, economical approach? That was mainly by (the band) talking to one another in advance about what we feel about the music, and therefore how we intend to play it. And once you’ve figured out all the things you don’t need, it’s much easier to play with complete feeling and abandon. Even when you’re playing the gentlest, most sensitively poised song, you don’t want to be thinking too much. You want to be feeling, and responding to one another. And because we worked out what we didn’t need in advance, it was actually kind of… I won’t say effortless, but it wasn’t anxious work. It was all very joyful — even though the songs themselves are quite often quite tragic tales. Not everybody who is 31 albums into a career can say they’re making a record that doesn’t exactly sound like any of the ones that came before. Well, thank you. I think that’s what we set out to do. We should be somewhere different than we were a long time ago. I’d be disappointed if we hadn’t gathered some things of use. I can make my ideas very clear now, and I knew where I didn’t want people to play. And in that way we weren’t fighting one another in any sense — fighting for space. I knew that sometimes I had to say to (keyboardist) Steve (Nieve), “Don’t fill that hole there, because as great as that idea is, there’s actually something else that’s contrasting that’s going there. Just trust me, when it’s all together, it’s going to be great.” And Steve was great about that, because I watched how he was produced by Nick Lowe, and even from the get-go, he could go on and give you so many variations with such imagination. But sometimes it’s necessary for somebody to go, “That’s the thing that sticks in the mind. Let’s play that, and don’t change it.” So I think we’ve probably gotten better at listening to one another and trusting each other. You give Steve Nieve more space than you give your own guitar, by a long shot. Any guitar you’re playing on this album sounds pretty subliminal. I wanted to ensure that the arrangements left space for the voice to live where it does, so that I didn’t have to sing with tremendous force to break through a lot of stuff. For one thing, it’s just deciding to put the guitar in the rhythm section and not in the foreground with a lot of fuzz-tone. I mean, it’s not that kind of music. Why would you play it like that? It just needs to be in the rhythm, whether it’s an acoustic guitar or an electric guitar on the backbeat or some little line just tucking in with everything. That’s as much a joy to play like that as it is any big blown-out thing. As recently as 10 years ago, with “Momofuku,” you made a loud, guitar-based album, and you still do that live, but it didn’t interest you for this album. Well, I know it sounds like I’m being argumentative when I say this, but I really don’t like rock music. Like, that square kind of rock music is boring to me. It always was. The Beatles were a swinging beat group. Tamla-Motown records were swinging; they were mostly played by people who had come out of jazz. All the rock ‘n’ roll records that I love, that I grew to love because the Beatles played Little Richard songs, it’s Earl Palmer, a jazz drummer. That’s why I like a lot of dance music, because even if it’s made with machines, at least it’s got all these trippy rhythms. I don’t want to hear that square beat all the time. You won’t find a lot of my records that lie there. When you put the guitar up loud, then it gets into that. Now, I love noiserecords — records that you can barely be in the room with because they’re so abrasive. But that square thing just doesn’t do it for me. I like this thing that we’re doing now, which I think is much more swinging. You listen to (bassist) Davey (Faragher) play on “Mr. and Mrs. Hush” — I don’t even want to put a label on it; I don’t even know what kind of music that is. Quite a few times over the last decade, you made it sound as if you might never make an album again, and indicated that reshaping your repertoire on different tours was perfectly fulfilling. Well, I was enjoying (touring), but I was also being pragmatic. I mean, I didn’t feel that there was an obligation to make records, and there was also no entitlement to the means to make them. And I started out as a songwriter, so all the shows I built over the last 10 years were all different ways of looking at the songbook, whether it was the “Spectacular Spinning Songbook” revival or “Detour” or, latterly, “Imperial Bedroom and Other Chambers.” The “Other Chambers” part of it was the key thing, wasn’t it? It was like, what company did those songs want to keep, as we looked at them in 2016-2017? We didn’t play the songs in the order that they appeared on the album and we weren’t trying to completely recreate the album arrangements. We looked at the songs and in some cases turned the ball around. A combination of me, Steve and Davey came up with the “Tears Before Bedtime” arrangement, and it felt much closer to the feeling of the lyric than the original recording ever did. So it was in realizing that songs are not stamped goods, edible goods, that go off. They can change shape as you revisit them. And the fact that anybody wants to hear a song that I wrote 40 years ago is remarkable to me. But I wanted to do some more of what I started out to do, which was to write songs that did stick around. So I didn’t really think there was anything else to do but set off to work on another record — if somebody who wanted to take the gamble would pay for it. “Look Now” has newly written songs but also some “trunk songs” with “Look Now,” given that fans heard you play some of these songs on tour years ago. I think three songs date back to the mid-1990s, right? “Unwanted Number” was written before “All This Useless Beauty” was completed (in 1996), but it wouldn’t have fit on that record, and that band (the Attractions) couldn’t have played it. This band had to play it. It took me until now to feel like the song belonged to me. And then how could I have taken “Burnt Sugar is So Bitter” to the “Painted from Memory” sessions (in 1998) and say, “Burt, it’s great to work with you. Would you like to record a song I wrote with Carole King?” How would that conversation have started? Or more importantly, how would it have ended? And I wrote “Suspect My Tears” right after that, but look at the records I’ve made since ‘98 and tell me which record “Suspect My Tears” could have been on. You have three co-writes with Burt Bacharach on this album, and then several that sound like they could have been, even though he wasn’t involved in the others. You’re right in hearing Burt’s influence upon things like “Why Won’t Heaven Help Me.” And I can obviously hear the echo of my work with Burt in the writing of “Suspect My Tears.” That was the very next song I wrote after “Painted From Memory” was released. My original intention 20 years ago was to follow “Painted From Memory” with a record that sounded like “Suspect My Tears.” I wanted to make an uptown pop record that had a rhythm section that did what this rhythm section does, with space for the voice and a pop orchestra of a kind, whether it was strings or vibraphone or guitars or voices — sort of the way we’re using instruments here. And, I guess, then other things happened. [Laughs.] Lots of things, in fact! They took me all over the place, and I wouldn’t have changed anything. Bacharach co-wrote three songs on this album and plays piano on the two for which he entirely wrote the music. What was that like? Those songs were written to turn the corners in a plot that was being developed for a proposed “Painted From Memory” musical. I’m pretty shrewd about these things, and I know that musicals don’t work out, so I wanted to make sure the songs made complete sense without prior knowledge of the plot. And then just the idea of him coming into the studio and playing with the Imposters, it amazes me that it happened. Not because I don’t think they’re capable of it, but I couldn’t have imagined it even a little while ago. And it was such a beautiful session. He came in and put us through the paces the way he does with every band that he leads, and everybody listened and responded. I even sing live on those two, and they have a different kind of feeling, because we were all right in the room. The others on the album were pictures that I wanted to build up so that I could sing them the way I do — things like “Under Lime,” where I wanted the whole story (to be painted instrumentally) before I sang it. “Under Lime” is one of a few songs on the album with brass or strings. It’s interesting hearing you return to that more ornate style you did with Geoff Emerick when he produced (1982’s) “Imperial Bedroom,” now that we’re thinking about him having just passed away. It’s very poignant to read of Geoff’s passing, because I would have loved to have played him this record. I think he would have appreciated that we were trying to use the studio in the same way — to create a different result, I hope; we didn’t want to make the same record again. “Imperial Bedroom” is often described as baroque, and I guess “And in Every Home” is quite baroque, and maybe the harpsichord on “You Little Fool.” But what kind of music is “Almost Blue”? That’s my most covered song. That’s very spare. So is “Long Honeymoon,” although there’s some French horns on the end of it, and an accordion that we played with three of us sort of wrestling it. It’s not really all orchestrated, but some things were. We’d not done anything like that before that time, and Geoff had the incredible patience to wait while we burnt off all the excess ideas that we didn’t need. The more manic approach to recording that we’d just about managed to pull off on “Trust” didn’t work for those songs. It sounded ridiculous, and Geoff was the one who sat there while we fought with ourselves for about 10 days and then came to our senses and started to make the record that we ended up with. And that band (the Attractions), everybody has a moment where that’s the best of their playing. Pete (Thomas)’s drums on “Beyond Belief,” Steve’s piano on “The Loved Ones,” Bruce (Thomas)’s bass on the end of “Shabby Doll”: that’s some of the best stuff that that those guys ever played. But Geoff’s the one that put it all into a picture where it could live with all these crazy vocal overdub ideas that I was doing — not all of which I would necessarily do the same way now, but were really truthfully the way I heard it at the time. Emerick built quite a legacy out of those Beatles albums, even without being the producer of record. (Co-producer) Sebastian (Krys) did an amazing job on this new record, and if you listen to the way he actually puts particular echo on voices, it has the subtlety and the response to the music that Geoff would appreciate. I believe I’m not just saying that in a sentimental way because of what just happened. Geoff was obviously the reason why we know how to do a lot of these things, because he was obliged to create those sounds and make those things that we now all take for granted come into existence — him and people like Ken Scott and the other guys that worked at Abbey Road, in response to the imagination of the Beatles and the Zombies. They all had to make that stuff up. Stuff that you now get as a plug-in on ProTools, it was something that was made out of bits of tape and pencils and an old broken spool — a homemade device and a one-time-only effect that you wouldn’t be able to exactly replicate. When people try to copy it, you end up with a pale imitation, whereas now everybody has access to all the same presets. Are you done putting out archival material? Fans have wondered if you might ever explore what’s in the vaults for the post-Warner Bros. years, too. I’ve no idea what the will would be to make physical packages of things again, because of the actual expense of making them to the volume possibly sold of anything these days… There’s 11 albums of music that are currently out of catalog — the 11 albums’ worth of music that were the second CDs of the Rhino editions (in the ‘90s)… I think we’ve tested the case for Universal’s argument that streamlined versions of my records (in the 2000s) were somehow superior. We’ve proven that was a fallacy. I knew it was when they did it, but they were convinced that was the way to go. And then they made a series of ill-starred moves to do with the catalog I tried to help with. The only two really imaginative compilations that have come out in the last 15 years were my doing. They got rid of everybody that knew what they were doing, and the people that were left in charge of these things don’t know the music, so they don’t know what they’re looking at. But I don’t think it would be right to put those on sale again, in some way that obliged people to get some rare stuff by adding a couple of things you couldn’t get before. It’s all got to be in some way more accessible, but with some way that you could find your way through it if you were in any way interested. There will always be an interest, even if mediums change. But it’s getting to be old, that music, now. Maybe we should just burn it or something, you know? Does it need to exist? I mean, old things, aren’t they kind of not needed anymore? I don’t know!… I don’t have any ambition for it, really. Because to me, the songs that people want to hear, they come to hear me sing ‘em if they want ‘em. I would be more interested in recording more unheard music, really, myself. I mean, I’ve got the 21 songs for the score of (the proposed Broadway musical) “A Face in the Crowd,” which is gonna be workshopped again soon and will move toward production next year. There’s the other songs that I wrote with Burt. There’s some very beautiful tunes in among those, which I think it would be a shame if they just existed on sheet music. I would love them to be heard, whether it’s me singing them or somebody else. You know, the one thing about time and other things happening in your life is like, look how long I waited to record “Burnt Sugar.” I think that “Burnt Sugar” is a pretty good song, right? I didn’t rush to record it the minute I wrote it. I waited until it was ready. Songs can outlive the writer, too. You know all those songs that my wife just recorded with Tony Bennett? Don’t they all sound great? Listen to the way Tony Bennett sings “Who Cares?” on the end of that record and tell me that doesn’t sound like it was written yesterday. That’s the perfect explanation of why George Gershwin will always be a modernist, always be a revolutionary. I’m not writing anything that’s thatstartling. I’m just writing things that I learn along the way, and the words are the thing — the stories and the feelings of the thing. I don’t make any pretense to innovation musically, though I do think there’s a couple of original tunes on this record. But the main thing is the feeling that we’ve got while we’re doing it, and the fact that we’re doing it all together, at this moment, now. That’s what really matters to me, that it’s happening and we’re here to do it. It’s gonna be great! Let’s go! When do we start? [He laughs long and gleefully.] I must be high on coffee. So , at last , a specific reason for the Vegas cancellation. Without record company financing they were not viable. The controversy surrounding the venue's owner was , of course , also a factor . I can't get enough of Stripping Paper. Elvis's best song since, I don't know, well Tripwire though that was relatively recent. Elvis's best album since... ATUB? BY? Earlier? Has anyone commented on Davey's bassline on the chorus of Mr and Mrs Hush? It's insane, and brilliant. It was really interesting to read the references in the last two paragraphs about archived material. Elvis surely knows the level of interest amongst fans. I would hope that there is material released in some guise. There are plenty of ways in which this could be done - it’s just that the presentation may need to be different. I’d love to see an equivalent on the lines of Bob Dylan’s Bootleg Series. Does copyright still expire after 50 years? I agree, that is probably one of the best EC interviews I've read. It contains so much insight into his thinking and - most importantly - into the music, and how he perceives it. Best of all is that he clearly seems interested in recording more music. The fact that he made such a splendid record seems to be galvanizing him in exactly the opposite way that NR did, leading him to want to do more. Great news, if it's correct!!! Poor Deportee wrote: I agree, that is probably one of the best EC interviews I've read. It contains so much insight into his thinking and - most importantly - into the music, and how he perceives it. That's a great point about the differing directions the two records spurred. I thought National Ransom was such a great record and it was disappointing to me that it took so long for a proper follow-up. But now we have it and I'm really enjoying the renewed interest in music-making--especially with the Imposters on board. On le disait insaisissable et on avait raison : voila plus de quarante ans qu’Elvis Costello fonce, tête baissée, ne suivant que son inspiration. Issu du pub-rock, au mitan des années 1970, puis associé (à tort) au mouvement punk, cet auteur-compositeur a très vite commencé à zigzaguer entre country, folk, pop, opéra, soul, chanson sucrée pour crooners, rock… Après tout, aux vaillants explorateurs, nul territoire n’est interdit. Reconnu parmi les plus grands songwriters de sa génération, Costello a enregistré avec Johnny Cash, Paul McCartney, Burt Bacharach, Marc Ribot ou Anne Sofie von Otter. À 64 ans, Declan MacManus (pour l’état civil) revient aux sources de son art : une pop alambiquée aux textes bavards, divinement orchestrée. Avec « Look Now », il renoue avec son groupe de toujours (The Imposters, soit ses anciens Attractions) et signe un de ses plus beaux albums en vingt ans. Interview. Elvis Costello. En fait, j’envisageais de ne plus jamais faire d’album tout court ! Mais j’ai reçu de nombreuses sollicitations, dont certaines étaient si excitantes que j’ai eu plaisir à les honorer. C’est ainsi que j’ai fait des disques avec T-Bone Burnett, The Roots ou The New Basement Tapes, à partir de poèmes manuscrits inédits de Bob Dylan que j’ai mis en musique. Je ne suis pas allé à la fac, je n’ai pas reçu d’éducation traditionnelle. C’est la musique qui m’a appris à formaliser mes idées, et à m’intéresser à celles des autres pour les associer aux miennes. C’est important de savoir repérer les bonnes opportunités d’enrichir son langage musical. C’est une école, on y apprend toujours beaucoup. Comment avez-vous abordé cet album, le 31e de votre carrière ? Parfois, on entre en studio comme si l’on partait à la chasse aux chansons : sans intention préalable et mus par le mystère et l’expérimentation. Pas cette fois-ci : nous étions très préparés et avions préalablement écrit les orchestrations et arrangements. Chacun savait ce dont parlaient les chansons, et quelle serait la place de son instrument. Cela nous a permis de nous concentrer sur nos intentions d’interprètes. Pour qu’au final, on ressente l’excitation et l’énergie de la scène. C’était un moment très joyeux. Vos chansons, bâties comme des nouvelles, parlent toutes de la relation à l’autre… N’est-ce pas le thème central de votre répertoire ? Mais c’est le cœur de toute forme d’écriture, non ? Chanson, poésie, peinture, film… L’art ne parle presque jamais d’autre chose que de notre place dans le monde. Ce thème est universel et taraude chacun de nous. C’est pourquoi il est abordé par les grands poètes comme par les créateurs de jingles ! Certes, la façon dont les mots sont choisis et ordonnés produit des résultats très divers, dans un spectre qui va de William Shakespeare à… la campagne publicitaire de votre shampooing préféré (rires). Je ne suis pas un intellectuel, je ne cherche pas à élaborer de grands concepts. Les paroles que j’écris parlent de sentiments, d’humeurs. Et je suis bien mal placé pour juger de leur utilité. Elles n’ont rien de comparable avec un travail littéraire : ce ne sont que des mots dans une chanson. Ce personnage était déjà présent dans la chanson « Jimmie Standing in The Rain », sur l’album « National Ransom ». Je l’avais abandonné dans les années 1940, au bout d’une voie de chemin de fer, sans un sou en poche ni perspective d’avenir. « Under Lime » le voit revenir, vingt ans plus tard. Fatigué, il tente, un peu pathétique, le come-back de la dernière chance. Une jeune employée de la BBC pose un regard romantique sur ce monsieur au charme suranné… qui s’avère être peu recommandable, car pétri de mauvaises intentions. La chanson explore la façon dont ces deux-là se jaugent mutuellement du coin de l’œil, et cherchent à voir le regard de l’autre. L’album ne s’appelle pas « Look Now » par hasard. Avez-vous jamais envisagé d’écrire une comédie musicale ou un opéra ? En fait, j’ai travaillé sur plusieurs projets de spectacles pour Broadway. Notamment une comédie musicale basée sur les chansons de « Painted from Memory », mon album à quatre mains avec Burt Bacharach. Pour relier ces chansons entre elles et bâtir une histoire, j’en ai écris quelques nouvelles – dont « Stripping Paper » et « Photographs Can Lie », que j’ai incluses dans « Look Now »)… Le projet a été arrêté il y a quelques temps. Peut-être va-t-il reprendre maintenant que des chansons supplémentaires viennent compléter le disque initial. J’adorerais que ce projet aboutisse un jour. Par ailleurs, je me suis beaucoup investi ces deux dernières années sur « A Face in the Crowd ». Il s’agit d’une comédie musicale basée sur une nouvelle de Bud Schulberg qu’Elia Kazan avait adaptée au cinéma (« Un homme dans la foule », avec Walter Matthau, en 1957, NDLR). J’ai participé à trois ateliers de travail, écrit une trentaine de chansons… La production du spectacle est en cours. Et on devine, à ma prononciation, que je ne parle pas du tout français, non ? (rires). Cette chanson était à l’origine une commande que j’avais reçue pour Johnny Hallyday. La première version était tout en français. Puis j’ai pensé que Johnny, ayant une telle proximité avec la culture américaine, aimerait sans doute que la chanson soit bilingue. Et moi je trouvais original et intéressant de faire rimer des vers en anglais et en français. Comme il n’a pas pu l’enregistrer avant de disparaître, j’ai décidé de l’enregistrer moi-même, tout en sachant que mon accent risquait d’en horrifier certains. C’est une chanson romantique, un peu mélancolique. Un jour, on se rend compte qu’un endroit – ou une relation – a changé et perdu ce quelque chose qu’on aimait tant, dont on chérissait le souvenir. À cause d’une catastrophe dévastatrice ou d’une rupture sentimentale désastreuse. Vous verra-t-on en concert en France prochainement ? Je l’espère. Je ne trahis pas de secret en disant que ma cote n’est pas délirante chez vous : les Français connaissent mon nom, mais je n’y ai jamais rempli de très grandes salles. En conséquence, les producteurs locaux sont plutôt frileux et je n’ai pas joué en France depuis bien longtemps. Mais les retours sur ce nouvel album sont si enthousiastes que l’on peut espérer être invités pour plus que l’unique date parisienne habituelle. Soyons optimistes. Ce serait formidable. Et je promets de ne pas chanter en français ! (rires). It was said elusive and we were right: it is more than forty years that Elvis Costello goes head on, head down, following only his inspiration. From pub-rock, in the mid-1970s, then associated (wrongly) with the punk movement, this songwriter quickly began to zigzag between country, folk, pop, opera, soul, sweet song for crooners, rock ... After all, to the valiant explorers, no territory is forbidden. Recognized among the greatest songwriters of his generation, Costello recorded with Johnny Cash, Paul McCartney, Burt Bacharach, Marc Ribot or Anne Sofie von Otter. At 64, Declan MacManus (for the civil registry) returns to the sources of his art: a convoluted pop with talkative texts, divinely orchestrated. With "Look Now", he returns to his old band (The Imposters, which is his old Attractions) and signs one of his most beautiful albums in twenty years. Interview. Elvis Costello. In fact, I was planning to never make an album any more! But I received many solicitations, some of which were so exciting that I enjoyed honoring them. That's how I made records with T-Bone Burnett, The Roots or The New Basement Tapes, from Bob Dylan's unpublished manuscript poems that I set to music. I did not go to college, I did not receive traditional education. It's the music that taught me how to formalize my ideas, and to get interested in those of others to associate them with mine. It's important to know how to identify good opportunities to enrich your musical language. It's a school, you always learn a lot. How did you approach this album, the 31st of your career? Sometimes, we enter the studio as if we were going on a hunt for songs: without any intention and driven by mystery and experimentation. Not this time: we were very prepared and had previously written the orchestrations and arrangements. Everyone knew what the songs were talking about, and what would be the place of his instrument. This allowed us to focus on our interpreting intentions. In the end, we feel the excitement and energy of the scene. It was a very happy moment. Your songs, built like news, all speak of the relation to the other ... Is not this the central theme of your repertoire? But it's the heart of any form of writing, right? Song, poetry, painting, film ... Art almost never speaks of anything other than our place in the world. This theme is universal and taunts everyone. That is why it is approached by the great poets as by the creators of jingles! Certainly, the way the words are chosen and ordered produces very different results, in a spectrum that goes from William Shakespeare to ... the advertising campaign of your favorite shampoo (laughs). I am not an intellectual, I am not trying to develop great concepts. The words I write speak of feelings, of moods. And I am in a bad position to judge their usefulness. They have nothing to do with a literary work: they are just words in a song. This character was already present in the song "Jimmie Standing in The Rain", on the album "National Ransom". I had abandoned it in the 1940s, at the end of a railway line, without a penny in my pocket or a prospect for the future. "Under Lime" sees him back, twenty years later. Tired, he tries, a little pathetic, the comeback of the last chance. A young employee of the BBC poses a romantic look on this gentleman with old-fashioned charm ... which turns out to be unsavory, because kneaded with bad intentions. The song explores how these two measure each other out of the corner of their eye, and seek to see each other's eyes. The album is not called "Look Now" by chance. Have you ever considered writing a musical or an opera? In fact, I worked on several show projects for Broadway. Notably a musical based on songs from "Painted from Memory", my four-handed album with Burt Bacharach. To link these songs together and build a story, I wrote some new ones - including "Stripping Paper" and "Photographs Can Lie", which I included in "Look Now") ... The project was stopped there at some time. Perhaps he will resume now that additional songs complete the original record. I would love to see this project come to fruition one day. In addition, I invested a lot in the last two years on "A Face in the Crowd". It is a musical based on a short story by Bud Schulberg that Elia Kazan adapted for the cinema ("A man in the crowd", with Walter Matthau, in 1957, Ed). I participated in three workshops, wrote about thirty songs ... Production of the show is underway. And we guess, to my pronunciation, that I do not speak French at all, right? (Laughs). This song was originally an order I had received for Johnny Hallyday. The first version was all in French. Then I thought that Johnny, having such a closeness to American culture, would probably like the song to be bilingual. And I found it original and interesting to rhyme verse in English and French. As he could not record it before disappearing, I decided to record it myself, knowing that my accent might horrify some. It's a romantic song, a bit melancholy. One day, we realize that a place - or a relationship - has changed and lost something that we loved so much, which we cherished the memory. Because of a devastating catastrophe or a disastrous emotional break. Will we see you in concert in France soon? I hope so. I do not betray a secret saying that my rating is not crazy at home: the French know my name, but I never filled very large rooms. As a result, local producers are rather cautious and I have not played in France for a long time. But the returns on this new album are so enthusiastic that we can hope to be invited for more than the usual Parisian date. Let's be optimistic. That would be wonderful. And I promise not to sing in French! (Laughs). Words are loaded like crime scenes in Elvis Costello's world. Consider the title of his weighty 2015 memoir, Unfaithful Music and Disappearing Ink: pretty cluey for a songwriter obsessed with romantic deception whose characters vanish into figments of imagination at the fade-out. "It isn't 'me' singing, as you probably guessed, in quite a few of the songs," he says of the 12 mysteries that comprise his new album, Look Now. "I was trying to write by thinking about how it felt to be in a number of different predicaments and then [singing] from that point of view." There's no reason to doubt his story. Famously married to jazz artist Diana Krall and father to their 11-year-old twins Frank and Dexter, what would he know about broken vows, lying photographs, suspicious tears and stains on the family name? "That's one of the great freedoms of being a writer," he says. "I mean, a crime novelist kills a lot of people but they never go to jail, do they?" Truth be told, the greatest living Elvis has done his time. The ache of three failed marriages – more about his parents later – seeps openly through his book. "It took me 10 years to finish writing about the misery I provoked," he reflects on his second, to Irish musician Cait O'Riordan. Imperial Bedroom, the 1982 album often regarded as his greatest, traced the sordid, drunken collapse of his first marriage to his teen sweetheart Mary Burgoyne. "My misadventures and failings were handed to the characters in the songs for them to live out," he wrote. In a musical if not confessional sense, Look Now is a stated successor to that 36-year-old masterpiece. It grew out of the Imperial Bedroom and Other Chambers Tour, during which Costello and his band the Imposters – the Attractions' Steve Nieve and Pete Thomas plus bassist Davey Farragher – dusted off every one of its 15 tracks. "Imperial Bedroom was made when the Attractions were moving from being just this rattling kind of live band that could make records very quickly to something that wasn't bound by other people's notions of rock 'n' roll," he says today. From baroque orchestration to 3am jazz, its colourful canvas served notice of the alleged "new wave" rocker's boundless adventures to come. "It seemed to be a pretty good starting place for this band," he says. "When we did that tour last year we ended up playing the songs until they were almost new songs again, so I thought we might as well have new songs. I've been building up a lot of material over the last – well, it turned out to be 25 – years, but specifically across the last 10 years." Only two of them are co-writes with Burt Bacharach, though the American master's famously complex structures and melancholy relationship scenarios have had a profound effect on Costello's work since they made their Painted From Memory album 20 years ago. Look Now sounds frankly old-fashioned as a result – or timeless, depending on your musical perspective. Subject-wise, the singer certainly bristles at suggestions of topicality. British media assumptions that "the man who lost the British Empire" in I Let The Sun Go Down has anything to do with Brexit are "understandable", but wrong. And if the showbiz roué seducing the young backstage intern in Under Lime reminds you of recent headlines, he'll remind you that such characters existed long before hashtags. "I didn't have anybody in mind," he swears, adding that he's been in the business long enough to see "lots of lowlifes" in action. The fact that Lime Street is an infamous address in his hometown of Liverpool is probably neither here nor there. The stories about his mother, Lillian, working in a series of music sales jobs as a girl are possibly inadmissible too. "None of the young women working at the shop," Costello writes in his book, "ever really wanted to find themselves in this confined space with one particularly famous conductor, who would use his guest appearances with the Royal Liverpool Philharmonic as a prelude to attempted seductions of the sales staff." It was at one such job that Lillian met Ross MacManus, the big-band trumpet player and singer who would father young Declan, and loom so large in his musical education as he transformed into Elvis Costello. The fact that he left his wife and seven-year-old son after years of philandering is not glossed over in Costello's big book of true stories. "Deep down within me pushed the knowledge that the temptations offered to my father for standing in the spotlight had pulled my parents apart," he writes. "I don't ever remember being really angry with my dad for leaving us, probably because my mam never spoke ill of him, mostly hiding any bitterness she felt until it wrecked her nerves." The next line reads for all the world like a Bacharach/Costello chorus hook in waiting. "I don't think she ever stopped loving him." Today, at home in Liverpool, as it happens, to care for his ailing mother, Costello reflects on his good fortune to have witnessed at such close range the career of the imperfect husband and father who he nursed through the painful decline of Parkinson's Disease seven years ago. "I probably had a slightly different slant on popular music because it was his business," he says. "It gave me different insight into what it took to learn a song, and that a song could have two or three lives. It could be sung by any number of people. That's probably why I wanted to be a songwriter before a singer, because it seemed to be a pretty good job, you know?" The evidence, so far, would suggest so. Look Now is out now through Concord Records. Elvis has been doing a lot of great, thoughtful interviews for this record. And many of the interviewers have been asking great questions to spur such insightful conversations. Kudos! For many serious music journalists a new “proper” Elvis album is a big deal. I’ve been wondering if his recent health scare has perversely increased his profile. Declan Patrick Aloysius MacManus, (25 augustus 1954 Paddington, Londen), beter bekend als Elvis Costello, liet in 1977 voor het eerst op platengebied van zich horen met zijn debuutalbum ‘My Aim Is True’. Hierna maakte hij furore met zijn begeleidingsband The Attractions, Na zijn punk- en new wave periode stortte Costello zich ook op andere genres zoals soul, country (‘Almost Blue’) en klassiek (‘Brodsky Quartet’). Hij ging samen schrijven met Paul McCartney en samenwerken met Burt Bacharach, Bill Frisell, Anne Sofie von Otter en Allen Toussaint. In 2004 trad hij op tijdens het North Sea Jazz Festival waar hij begeleid werd door het Metropole Orkest. In 2013 maakte hij met de hiphopband The Roots, de huisband van talkshowpresentator Jimmy Fallon, het album ‘Wise Up Ghost And Other Songs’. Kortom, Elvis Costello is van alle muzikale markten thuis. Inmiddels werkt hij al weer een tijdje samen met zijn vertrouwde vaste begeleidingsband The Imposters. bestaande uit Steve Nieve (keyboards), Davey Faragher (bas) en Pete Thomas (drums, percussie, tamboerijn). 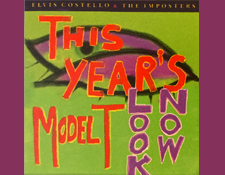 Medio oktober verscheen ‘Look Now’, het nieuwe album van Elvis Costello & The Imposters, een dubbelalbum met zestien songs en het eerste album met The Imposters sinds ‘Momofuku’ uit 2008. ‘Look Now’ is opgenomen in Hollywood, New York City en Vancouver en Costello produceerde het album samen met Sebastian Krys. Meteen al bij het openingsnummer wordt de luisteraar getrakteerd op de vertrouwde sound van Elvis Costello en die vertrouwdheid is in alle songs te horen. Het album varieert van stevige songs, waarin de hechte ritmesectie opvalt, tot prachtige ballads met soms ingetogen zang van Costello en zwierig pianospel van Steve Nieve. Drie songs heeft Costello samen geschreven met de 90-jarige Amerikaanse pianist, producer, arrangeur en componist Burt Bacharach, die op de fraaie ballads Don’t Look Now en Photograps Can Lie zelf piano speelt. Zeer herkenbaar die samenwerking tussen beiden. Op de derde coproductie van Costello en Bacharach speelt Nieve wurlitzer en grand piano. Sommige songs zijn al langer geleden geschreven zoals Burnt Sugar Is So Bitter. Costello schreef dit nummer eind jaren ’90 met Carole King, speelde het wel tijdens zijn concerten, maar is hier voor het eerst officieel op plaat verschenen. Ook Unwanted Number is een ouder nummer uit 1996. Zuid-Amerikaanse invloeden zijn te horen in Mr. & Mrs. Hush en in de orkestrale ballad Let The Sun Go Down is Costello zelfs als kunstfluiter te horen. De ballads zijn rijkelijk tot zeer weelderig georkestreerd met prachtige arrangementen van blazers en violen. Op Adieu Paris (‘l Envie Des étoiles) is een gastrol voor Neil Larsen op Hammond en verrast Costello met Frans gezongen passages. In het slotnummer, de ballad You Shouldn’t Look At Me That Way wordt helemaal een blik strijkers (viool, cello) opengetrokken. Een gevoelig slot met verder een uitblinkende pianist Steve Nieve. Het album ‘Look Now’ van Elvis Costello & The Imposters biedt geen verrassingen, maar is gewoon een goed album met de herkenbare en vertrouwde sound zoals we die van Costello gewend zijn. "Ich bewerbe mich ja nicht um ein politisches Amt!" Der britische Musiker Elvis Costello über sein neues Album „Look Now“, politisches Songwriting – und warum er sich um sein musikalisches Erbe keine Gedanken machen will. profil: Herr Costello, Anfang des Jahres mussten Sie wegen einer Krebserkrankung mehrere Konzerte absagen. Nur ein paar Monate später veröffentlichen Sie Ihr neues Album „Look Now“. Musste es diesmal besonders schnell gehen? Elvis Costello: Inhaltlich hat sich das gar nicht ausgewirkt. Das Album war bereits geschrieben, mit der Musik waren wir fast fertig, gefehlt hat nur noch mein Gesang. profil: Heute geht es Ihnen gut? Costello: Wahrscheinlich hätte niemand etwas von der Operation erfahren, wenn ich nicht ein paar Konzerte absagen hätte müssen. Ich dachte wohl, ich sei stärker, habe wieder zu schnell zu arbeiten begonnen. Richtig krank war ich aber nie. Danke, heute ist alles gut. profil: Ihr Tourneekalender ist rappelvoll. Mit Ihrer Band treten Sie aktuell in den Vereinigten Staaten und in Kanada auf. Ist Ihnen das Live-Spielen immer noch so wichtig? Costello: Das Spielen ist mein Beruf, mein Leben. Als Band versucht man, sich die Konzerte möglichst spannend zu erhalten. Mit den neuen Songs im Gepäck, die noch nie live aufgeführt wurden, ist das natürlich doppelt spannend. profil: Vor ein paar Jahren haben Sie gesagt, dass Sie eigentlich keine neuen Alben mehr veröffentlichen möchten. Was hat sich geändert? Costello: Mein letztes Soloalbum ist vor acht Jahren erschienen, zwischendurch erschien mit The Roots die Kollaboration „Wise Up Ghost“. Außerdem wollte ich einfach mehr Zeit mit meiner Familie verbringen, mein Arbeitspensum ein wenig zurückschrauben. Ich habe auch lieber live gespielt als im Studio zu sitzen. Über die Jahre haben sich aber wieder so viele Songideen angesammelt, dass ein neues Album die logische Konsequenz war. profil: Für „Look Now“ haben Sie sich nochmal mit Ihrer alten Band The Imposters zusammengetan. Ein gutes Gefühl? Costello: Glauben Sie mir, diese Band kann einfach jede Musikrichtung spielen! Meine früheren Alben mit den Imposters waren immer von einer Rock’n’Roll-Attitüde getrieben, aber bei den neuen Songs wurde uns schnell klar, dass wir heute vielschichtiger klingen möchten. profil: Seit den späten 1970er-Jahren haben Sie über 30 Studioalben veröffentlicht. Vergleichen Sie neue Songs mit Ihren Klassikern? Costello: Nein. Manchmal gebe ich meinen Mitmusikern einen Referenzrahmen, verweise auf eine bestimmte Ära. Viel wichtiger erscheint es mir heute, sich als Band nicht mit der eigenen Vergangenheit aufzuhalten, sich gewissen Stilen nicht zu verwehren und aufgeschlossen zu bleiben. profil: In Ihren Memoiren „Unfaithful Music“ verraten Sie, dass Sie sich beim Songwriting gerne von den Werken anderer Künstler inspirieren lassen. Wie darf man sich diese Arbeitsweise vorstellen? Costello: Das ist nicht immer so. Für Künstler ist es aber normal, dass man im kreativen Prozess eine gewisse Vorstellung oder ein Modell bereits im Kopf hat – egal, ob man Maler oder Musiker ist. Mit Kopieren hat das nichts zu tun. Die Frage ist, wie kann ich etwas Einzigartiges erschaffen und damit Gefühle erzeugen, die ein anderes Werk bei einem selbst ausgelöst haben. profil: Geht das Komponieren mit Ihrer Erfahrung mittlerweile nicht schon von allein? Costello: Nein, das ist eine Illusion. Hätte man diese Gabe, würde man einen Hit nach dem anderen schreiben. Manchmal muss man sich in Geduld üben, einfach abwarten, bis einem endlich eine neue Melodie zufliegt. profil: Im Laufe Ihrer Karriere haben Sie mit unterschiedlichsten Musikern zusammengearbeitet. In den 1980er-Jahren unter anderem mit Größen wie Paul McCartney oder Johnny Cash – zuletzt mit der Hip-Hop-Formation The Roots. Ist das Ihre Methode neugierig zu bleiben, sich das Musikmachen spannend zu halten? Costello: Das sind ja keine Entscheidungen, die man aus einem bestimmten Grund fällt. Das sind Chancen, die man sich nicht entgehen lassen möchte. Man wäre ein Narr, würde man sich dem widersetzen. Es ist auch nicht der Wunsch, anders sein zu müssen, man lässt sich vielmehr in neue musikalische Richtung treiben. Diese Erfahrungen sind immer überraschend. profil: Ihr erstes Album erschien vor 41 Jahren, während sie noch in einem Büro gearbeitet haben. Ist Ihnen Arbeitsethos wichtig? Costello: Ich bezeichne mich selbst als Arbeiter. Ich bin Künstler, ja, aber ich bin kein Musiker, der sich auf die Bühne stellt und einfach so fremde Musik intonieren kann. Dazu fehlt mir die Technik. Neben der Musik habe ich ja auch viele Film-Soundtracks komponiert, bin in TV-Serien aufgetreten. Ich wollte nie der Beste in einem Metier sein – ich hatte einfach Lust und wollte dazulernen. profil: „Look Now“ klingt wie ein Querschnitt durch Ihr Schaffen, an keiner Stelle aber nostalgisch. Was ist Ihr Geheimnis? Costello: Das Album ist weder überarrangiert noch überproduziert. Wir haben darauf geachtet, dass die Instrumente genau zu hören sind, ein organisches Soundgefühl entsteht und die Stimme präsent ist. Das hat viel mit Erfahrung zu tun. profil: Muss man sich als Künstler 2018 eigentlich besonders politisch positionieren? Costello: Gegenfrage: Muss man sich in der Kunst und in der Musik heute mehr engagieren als zum Beispiel 1933? Der Punkt ist, als Menschen müssen wir lernen, miteinander auszukommen und Vertrauen aufzubauen. Wir dürfen uns nicht von politischen Slogans in die Irre führen lassen. Ich bezeichne mich daher auch nicht als politischen Songwriter, ich mache lieber das, was ich kann und schreibe über meine Gefühle. Ich bewerbe mich ja nicht um ein politisches Amt! profil: Manchen Sie sich Gedanken über Ihr musikalisches Erbe? Costello: Überhaupt nicht. So kann man ja nicht arbeiten. Ich muss meine Zeit im Hier und Jetzt nützen. Natürlich hinterfragt man sein Schaffen: Macht Songwriting noch Sinn? Genieße ich noch, was ich tue? Will die neuen Songs jemand hören? Wenn ja, dann gehen wir raus und spielen sie. So schwer ist das nicht. Elvis Costello, 64, wurde als Declan Patrick McManus in London geboren und gehört zu den bedeutendsten Singer-Songwritern seiner Generation. Costello, der immer wieder als Schauspieler in Erscheinung tritt (u.a. in David Simons Serie „Treme“), hat in unterschiedlichsten Band-Konstellationen mehr als 30 Studioalben veröffentlicht, spielte mit Paul McCartney, Johnny Cash und der Hip-Hop-Formation The Roots. Costello ist mit der kanadischen Jazz-Pianistin und Sängerin Diana Krall verheiratet. Eigenlijk moeten we zeggen: Elvis Costello & the Imposters. Want ook al is er weinig verschil tussen The Imposters en zijn oerband The Attractions, hun aanwezigheid is wel essentieel. Zij bepalen de klank van het album. Oudgedienden Steve Nieve op toetsen en Pete Thomas op drums zitten al sinds mensenheugnis in zowel The Attractions als The Imposters, de twee bands waar Elvis Costello mee werkt. In feite is het enige verschil de bassist: bij The Attractions is dat Bruce Thomas, broer van de drummer, bij The Imposters is dat Davey Faragher, ooit bij Cracker en John Hiatt en sinds 2001 bij Costello. Laat die Imposters nu bijzonder goed op dreef zijn op 'Look now'. In die mate zelfs dat de baas zelf opvallend onopvallend is op gitaar. "Wanneer Pete en Davey in bloedvorm zijn, kan ik met mijn Telecaster beter uit de weg blijven," zegt Costello daar zelf over. "Ik had de orchestratie en de stempartijen vooraf precies in mijn hoofd," zegt hij nog, "dus het was essentieel dat ik nauw samenwerkte met Steve Nieve om hem de ruimte te laten en te laten schijnen." Slotsom: 'Look now' klinkt bijzonder rijkelijk als een groepsgebeuren, met vrije toetspartijen en nog rijkere strijkersarrangementen of koperblazers. Zeer opvallend ook: de plaat wisselt, letterlijk nummer per nummer, in tempo. Uptempo opener Under lime (wat een nummer trouwens! ), wordt gevold door de ballad Don't look now, Burnt sugar is so bitter is weer up, Stripping paper opnieuw een ballad en zo de hele plaat lang! Het wordt op den duur wat voorspelbaar en het blijft niet de hele tijd even boeiend, maar tegelijk schittert Costello in beide extremen, het lijkt alsof zijn stem nóg krachtiger en flexibeler is dan vroeger. En hij is en blijft uiteraard een uitstekend songschrijver, die intussen gewoon tussen de Groten der Aarde kan gaan staan. Wat hier ook letterlijk gebeurt. Burnt sugar is so bitter schref hij samen met Carole King, Burt Bacharach leverde zelfs drie nummers, én speelt twee ervan op piano. 'Look now' (zijn eerste plaat in 10 jaar, die met The Roots niet meegeteld) is een lel van een album, met meer hoogtepunten op één plaat, dan mindere (maar meer geprezen) goden in een leven bijeen krijgen. Eén minpuntje. Wie de deluxeversie koopt krijgt 4 bonus tracks, en laat één daarvan, Adieu Paris (L'envie des étoiles), nu net een van de sterkste nummers van de hele collectie zijn. Het had dus beter bij de selectie van 12 gezeten op de zgn. gewone versie. Alleen al omdat Costello in een zeer ontwapenend Frans zingt. En omdat hij met deze lel van een plaat zijn overwonnen kanker een hak zet. True to form, the good news is indeed I am already liking the songs on Look Now, Elvis Costello's first album in 10 years with his backing band The Imposters. I tried hard to ignore the pre-release hype about this album and the Internet buzz (where some were calling it something of a new Imperial Bedroom, Elvis' acclaimed 1982 release produced by legendary Beatles engineer Geoff Emerick). I am glad I did. Look Now, is its own thing, in some ways a summation of the many trajectories Elvis has pursued over the years, with soulful backing vocals (echoes of Punch The Clock), majestic Oddessey and Oracle (Zombies)-flavored constructs (I think I heard a Mellotron in there!) and like Painted From Memory, elegant superstar songwriter collaborations with the likes of Burt Bacharach and Carole King. If anything on Look Now, I'm hearing more connection to 90s-era Costello recordings such as the much under-appreciated Mighty Like A Rose (from 1991), All This Useless Beauty (1996), Painted From Memory (1998) and perhaps even a bit of North (his lush, somber-but-ultimately-uplifting 2003 song cycle). By my second listen to Look Now, the songs were jumping out at me! The opening power trio of tunes set the tone for the album. The strummy mid tempo rocker "Under Lime" is followed by the almost blue title track, "Don't Look Now," spinging back to the jaunty pop of "Burnt Sugar is So Bitter" before reeling things in for the lovely "Stripping Paper. I'm really happy Elvis finally recorded and included "Unwanted Number" for one of his formal albums, a song which first appeared in the fabulous 1996 film Grace of My Heart, the soundtrack connection to Look Now which is not lost on this lifetime Costello fan and reviewer. Some of you may remember this wonderful mashup of a movie telling an imaginary tale that loosely echoes the career of Carole King and her merry music making Brill Building mates (there are characters approximating Ellie Greenwich, Lesley Gore, Phil Spector and many others from the era). And then, of course just for good measure, there is fun love interest twist with a post-psychedelic Brian Wilson-esque character thrown in the mix! For that film, in addition to "Unwanted Number," Costello co-wrote the instant-classic "God Give Me Strength" with legendary composer Burt Bacharach. Then add to that the fact that Carole King's daughter Louise Goffin even contributed to that soundtrack along with her ex-husband and former songwriting partner Gerry Goffin, the ties to Look Now grow deeper still. Costello co-wrote "Burnt Sugar Is So Bitter" with King and Bacharach performs on the tracks he collaborated with Costello on ("Photographs Can Lie," "Don't Look Now" and "He's Given Me Things"). An important note for those of you who are still lamenting the fact that Elvis is not really making traditional "rock" album in the vein of This Years Model or Armed Forces anymore: don't hold your breath as Look Now does not alter that pattern. And I do not think that is a bad thing. Its a good thing, ultimately. I respect Elvis for not wanting to retrace his steps. No, at moments like this where some might be miffed that Elvis is no longer the angry young punk rocker, I recall a moment from one of his shows where he was playing solo guitar and vocal when some idiot in the balcony shouted out "play some rock 'n roll!" at an especially quiet and poignant moment. Elvis stopped the song for a split second, looked up to the balcony and spat out with much deserved bile: 'this is rock 'n roll mother f____er!' The crowd burst into applause at which point Elvis slammed back into finishing the song, not really even missing a beat, knocking the performance out of the ballpark. That, in fact was a very rock 'n roll moment! How does Look Now actually sound, you ask? Actually for the most part it sounds really great on 180-gram vinyl with surprising consistency given that the album was made at several studios. It thus stands to reason in these 21st century times that this album was made digitally but that doesn't necessarily mean its bad. Indeed, this overall flavor of album has a warm vintage pop tone to it; most of the time the music is full bodied and not gimmicky or particularly trendy. Elvis' voice is sounding better than ever in many ways (listen to his vocal control on "Let The Sun Go Down”). The strings on Look Now are lush with full-on Mantovani-meets-John-Lennon moments that are borderline-schmaltzy but in a the best possible way ("You Shouldn't Look At Me That Way"). Look Now has a rich production aesthetic, no doubt brought to life by co-producer, multiple Grammy winning international producer Sebastian Krys. A note to vinyl buyers: there is a 12-song single disc version of Look Now as well as a double disc versions with four bonus tracks. I opted for the Deluxe edition which spreads out the tracks over four sides for better fidelity. I have heard at least one complaint from a Facebook friend who was not happy with the sound on his 12-song vinyl version. As I do not have that edition, I can't comment on it. But in response to his comments I did some due diligence and cherry picked tracks from many of Elvis' vinyl albums from the past 15-20 years just for some contrast and Look Now holds its own. So, yes, Look Now is not about the raw power of This Years Model or Blood & Chocolate nor the amphetamine Motown rush of Get Happy. And this music is not about the back porch acoustic guitar sparkle like on King of America. But compared to the boxy National Ransom, and some others, Look Now sounds like one of the most full bodied productions Elvis has created in many years. Happily, Look Now also sounds pretty great on Tidal where it is available in "master quality" MQA format. This is one of those instances where they seem to have gotten everything right for the streaming version as this sounds like the vinyl (which was probably made from the same 96 kHz, 24-bit master, as is a common practice these days). Tidal is streaming the deluxe edition of Look Now which includes the four bonus songs apparently considered for a separate EP (but included, wisely, as simply the final side of the two-LP set). Look Now may not be This Year's Model 2018 but it could well be This Year's Model T, the latter name is in fact a self depreciating mock title portrayed via (perhaps) alternate album art in the LP's album inner cover gatefold collage (see inset). I don't know those of you holding out for This Year's Model III, but I'm along for the long haul ride with Elvis so I'm on board with what he is doing here and now. And per the art in the gatefold cover which says "Life Right Now" in bold scrawled text, I think that is what Look Now is about and it sounds just right for Elvis Costello in 2018. This Year's Model T is sounding pretty grand to me. As much as I am enjoying the album, my 3 favourite tracks are Suspect my tears, Burnt sugar is so bitter and Unwanter number ie the older ones. It could be due to me being more familiar with them. When Elvis Costello began recording in the late 1970s, he was labeled an angry young man. Now, in 2018, he’s neither angry (well, at least not as angry) nor young. His latest album, Look Now (Concord), is a throwback of sorts to the more sophisticated music he first made with the 1982 album Imperial Bedroom. That shiny pop masterpiece represented Costello’s move away from punkish rants, and his drift into writing songs more representative of jazz era standard bearers, like the Gershwins and Cole Porter. This new album’s sophistication is due, in part, to the fact that many of its songs were originally intended for highbrow Broadway musicals. The presence of Carole King (who cowrote “Burnt Sugar Is So Bitter” with Costello) and Burt Bacharach (who cowrote three of these songs and can also be heard playing piano on the album), are also primary factors in the release’s overall classic pop feel. It’s a fine album — but is labeled as such with cautious reservations. Many initially fell in love with Costello because of the man’s smartly angry punk-inspired rock songs. Even though some members of his current band, The Imposters, are also original Attractions — his first band — little of this album conjures up sonic reminders of Costello’s breakthrough early days. 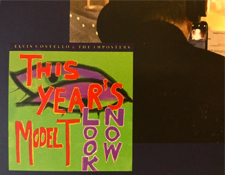 Nothing even comes close to the vitriol expelled via “Lip Service,” back from Costello’s best album, 1978’s This Year’s Model. Instead, there are moments during “Burnt Sugar Is So Bitter,” particularly the girly backing vocal section on the chorus, that sound like vintage, saucy and sarcastic ’70s Steely Dan music. Opener “Under Lime,” begins with a gently swinging acoustic piano part. Back in the day, though, this song would have likely been revved up to “Clubland” speed. Costello is a big boy now. Is he also slowing down? Therefore, should fans be disappointed in Costello’s current classic pop demeanor? Johnny Lydon likely doesn’t spit out “God save the Queen” anymore, for instance, nor are many old school punk rockers as loud and boisterous as they were during their younger days. The man is 64, after all, and is merely acting his age, right? However, Costello whistles — yes whistles — during “I Let the Sun Go Down.” Can you even picture Lydon whistling a happy tune? Blasphemy, right? With that said, though, Costello wrote “Shipbuilding,” perhaps his best protest song, as a sort of modern-day jazz ballad. So really, the greatest fault one might find with Look Now is not its style so much, as it is the project’s nearly overall lack of bite in Costello’s lyrics. Oftentimes, he sounds a little like a declawed cat, instead. One of the album’s most rhythmic tracks is “Mr. & Mrs. Hush,” which features soulful backing vocals that give it an enjoyable Motown-ish feel and make it one that wouldn’t have sounded all that out of place on 1980’s Get Happy. In addition to this song’s Temptations-esque vocals, there’s also some wonderful horn play going on. To his credit, Costello is now a much better singer. During his early career, something like “Suspect My Tears” would have cried out for Costello to shop that lyric out to a real singer. His recording here, however, is simply beautiful. Likely, nobody could do it better. All this ageist criticism might come off like silly sour grapes, at least when comparing Costello’s thoughtful lyrics with the drivel that passes for contemporary pop music these days. Perhaps we should just be glad a sophisticate like Costello is still in the game. We’re living in turbulent times, so we can only hope Costello will bring that great sarcastic noise next time. I’m thankful for many things, but when I hear about longtime Elvis Costello fans who can’t get into his brilliant new album, I get way mad cause what they’re after is not vibrant, inspired new music, but a time machine to take them back to 1979 and make their bodies young again. They’re simply asking too much; expecting him to correct everything that went wrong in their lives with a new record that they cannot truly *hear* cause they are too caught up in their nostalgic ways. They don’t care about music. They greedily want more of their youth. Which is fine, but he’s given so much already, and he plays so many of those great old songs so vigorously every night on stage. And yet they’re not hearing what an absolutely incredible, virile album “Look Now” is, missing out on beauty and excitement. If your favorite artist makes an album half as good as “Look Now” when they’re 65, consider yourself incredibly lucky and proud. And if you can’t hear it, maybe you don’t deserve all this useful beauty. Me, I’m thankful for EC.